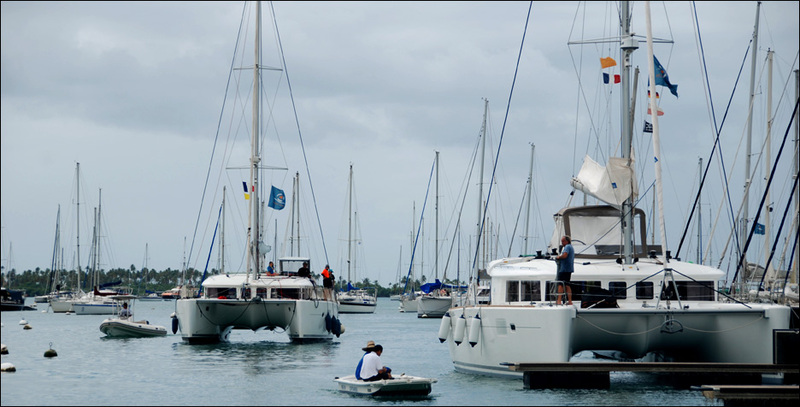 The last few days have seen many more Odyssey yachts arrive in Le Marin marina, including the first arrival from Barbados, the Norwegian Nangilima after a magnificent voyage with the Islands Odyssey which saw them visit all the Canary Islands as well as Mindelo in the Cape Verdes and Barbados, before arriving in Martinique. 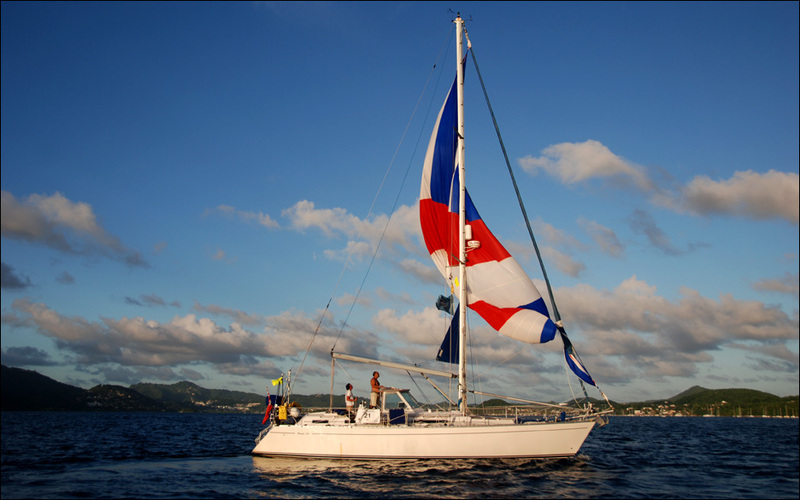 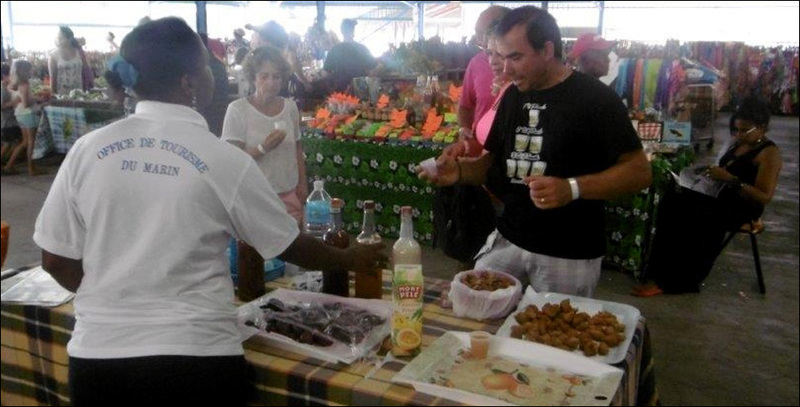 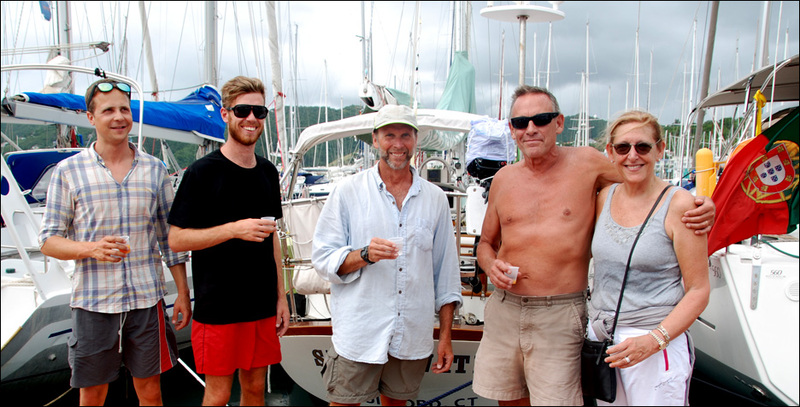 The happy community of cruising sailors (more than 130 people) attended various social activities laid on especially by the Tourism Office , including welcome cocktails, island visits, samplings of local products, and a nightly ‘happy hour’ at the marina. 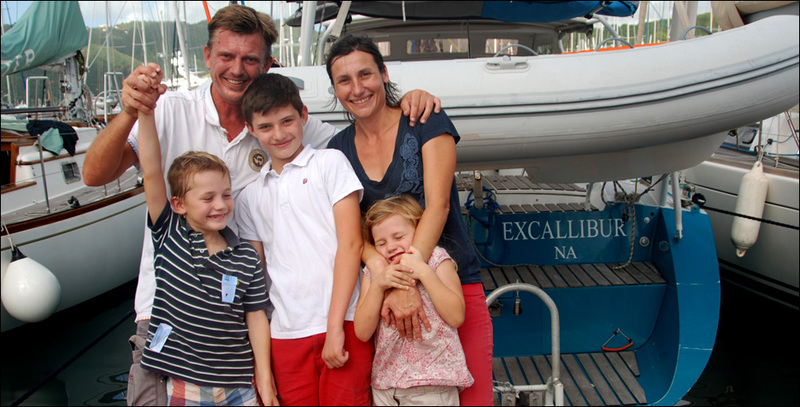 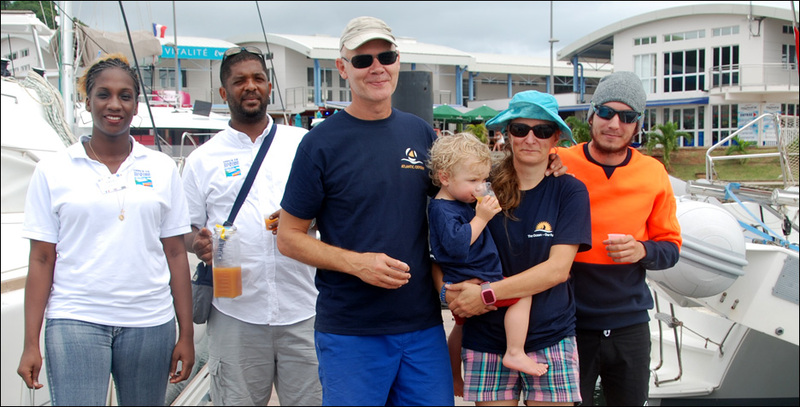 This community seems to grow year on year, as participants from previous rallies turned up in Martinique to welcome the new arrivals. 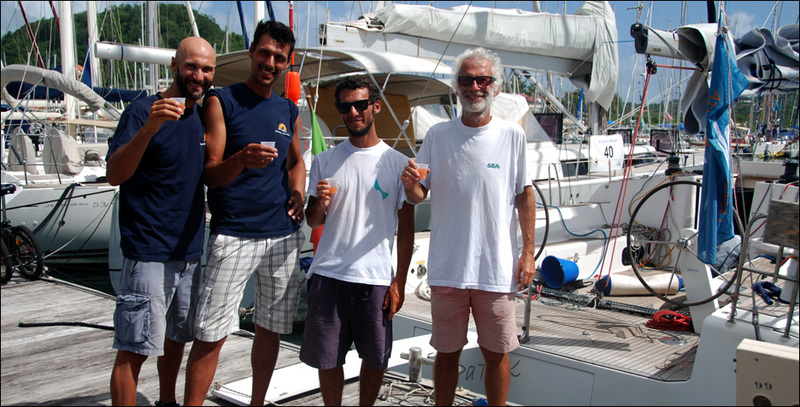 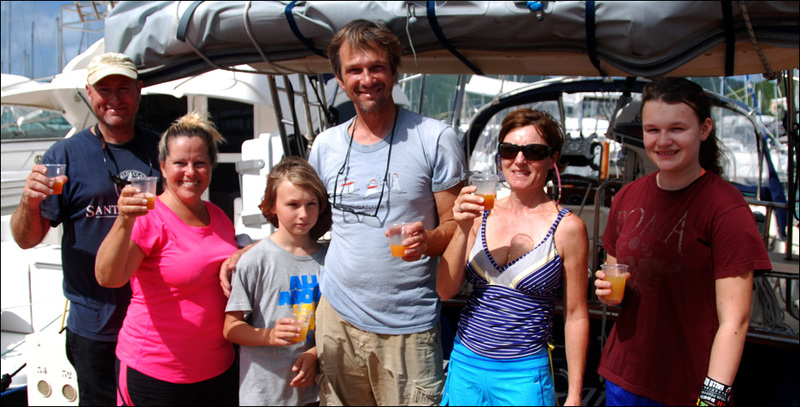 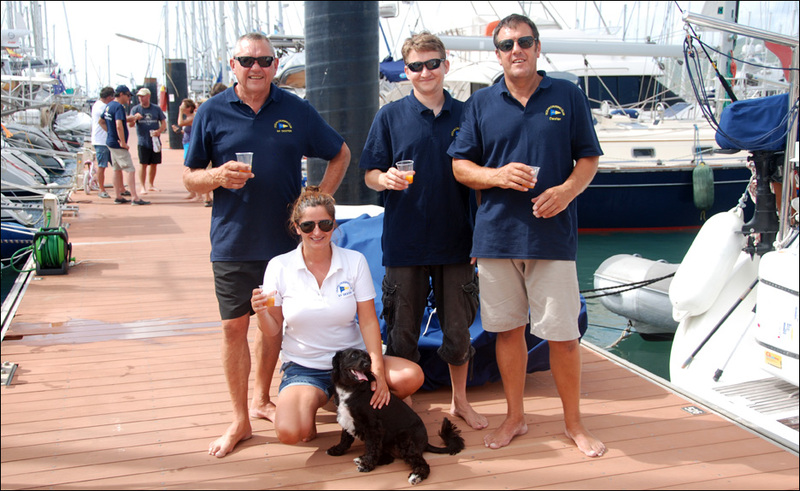 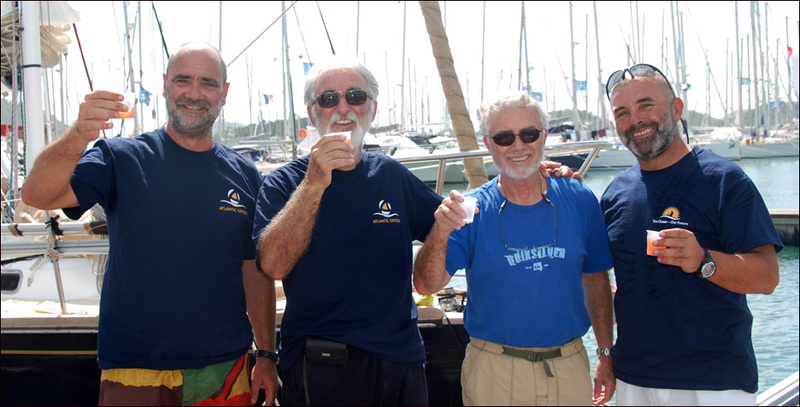 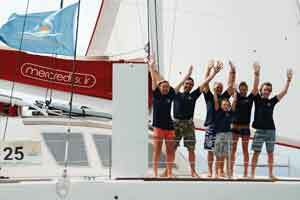 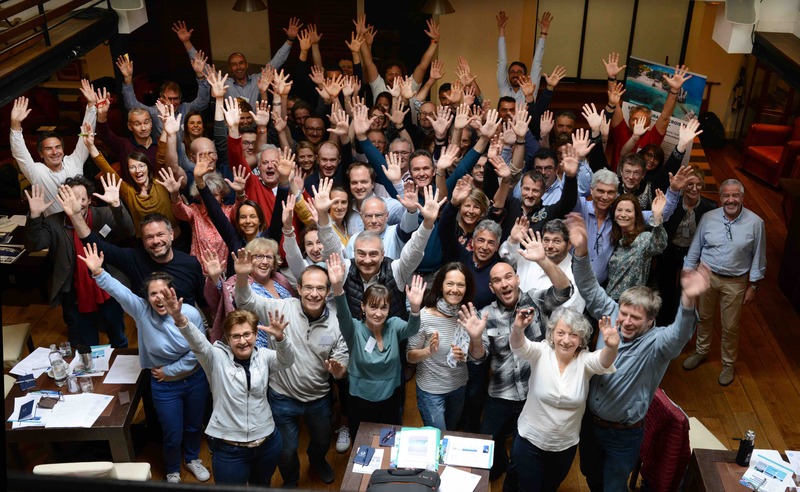 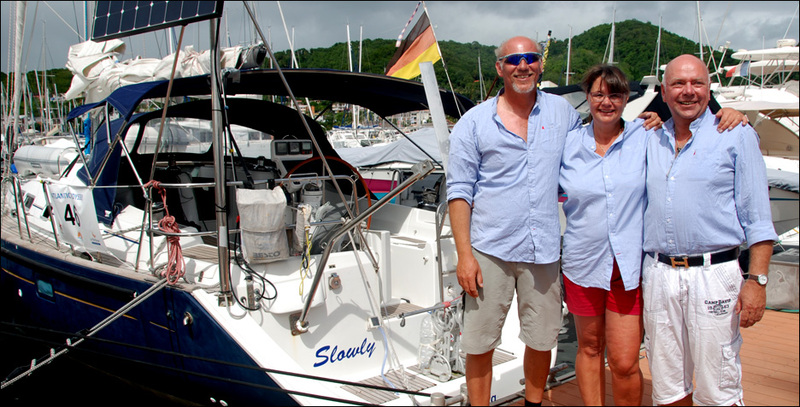 This was the case with the crews of Neptune and Penny Lane, who took part in Atlantic Odyssey II in January 2015, and whose captains formed a musical trio with Jeff from Lazy Bones and laid on a rich repertoire of music during one of the cocktail hours at the marina. 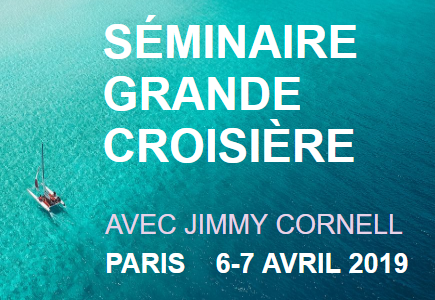 As the Odysseys’ popularity grows, perhaps soon enough we’ll be able to form a real Odyssey big band! 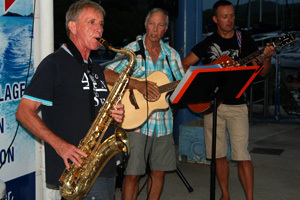 The Odyssey trio premiere: Gary (Neptune II) on sax, Jeff (Lazy Bones) and Pete (Penny Lane) on guitar. 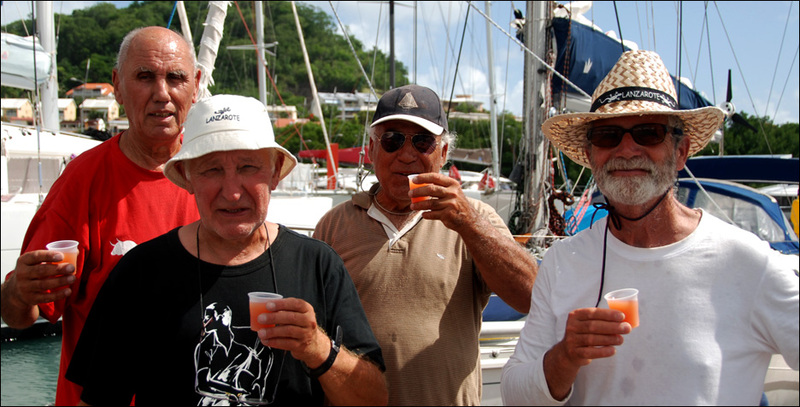 The crews of Ti Punch and Happy Koumata enjoying some rum in Le Marin market. 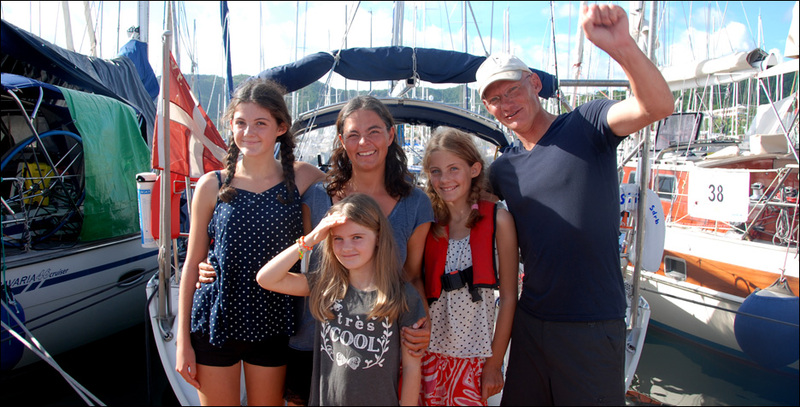 Meli Melo arrive not long after Tapati on the newest pontoon in the marina.